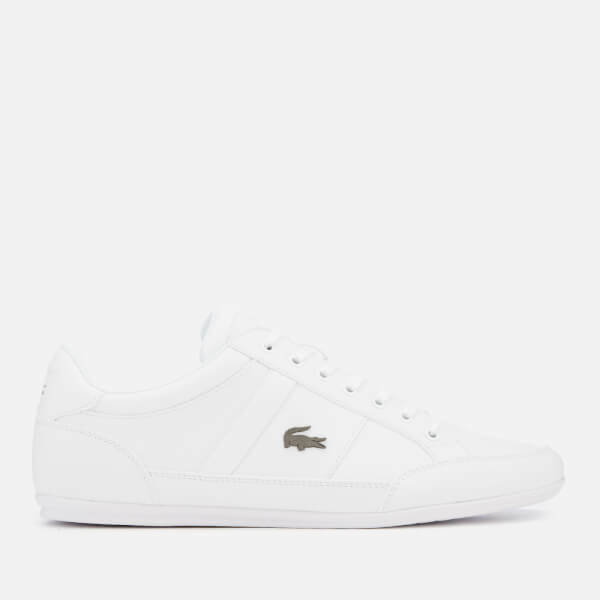 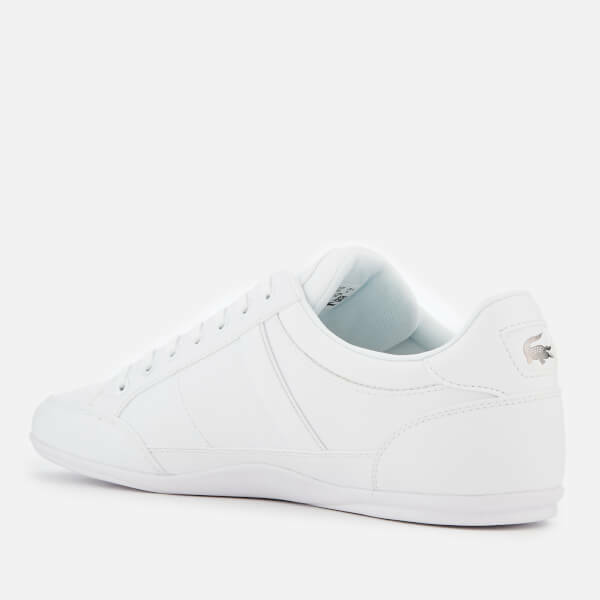 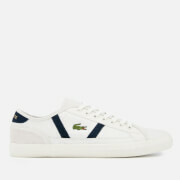 Minimalist white sneakers from Lacoste. Crafted with panels of faux and real leather, the ‘Chaymon’ trainers feature a lace-up fastening, tonal stitching and a rounded toe. 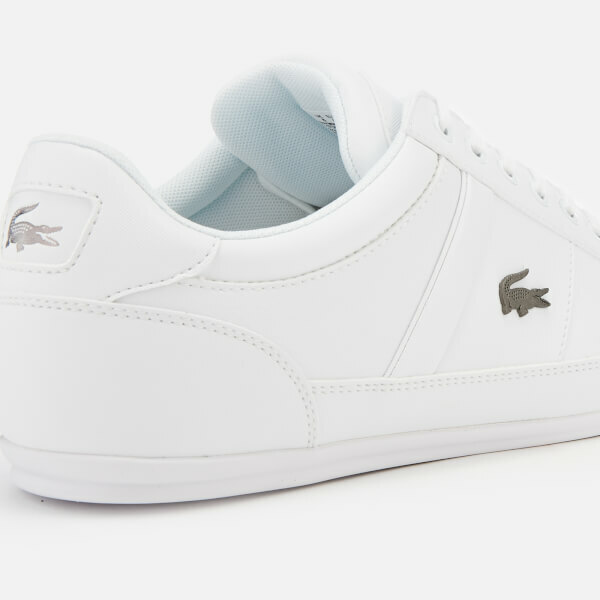 Set upon a durable rubber sole, the shoes are completed with signature crocodile branding.